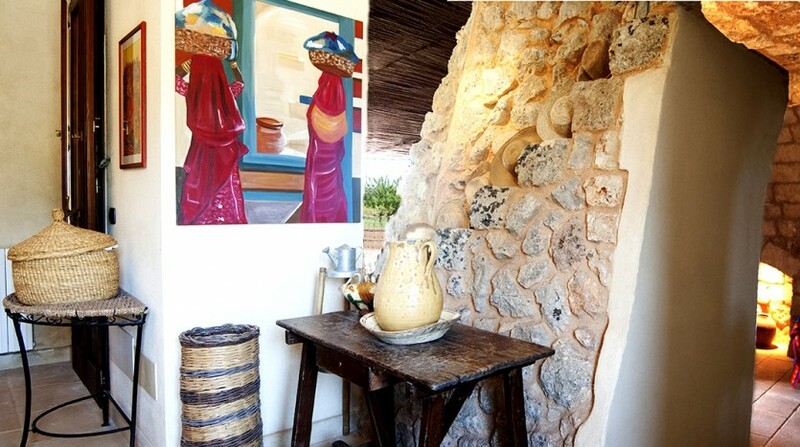 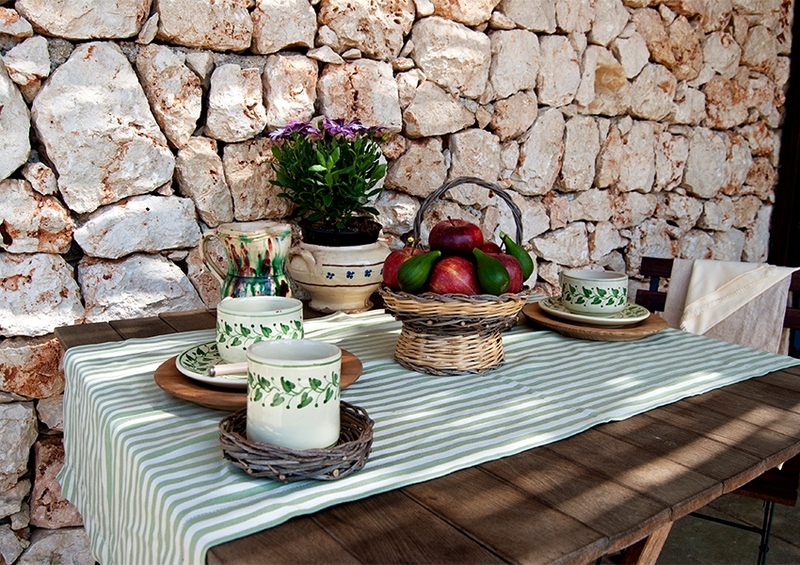 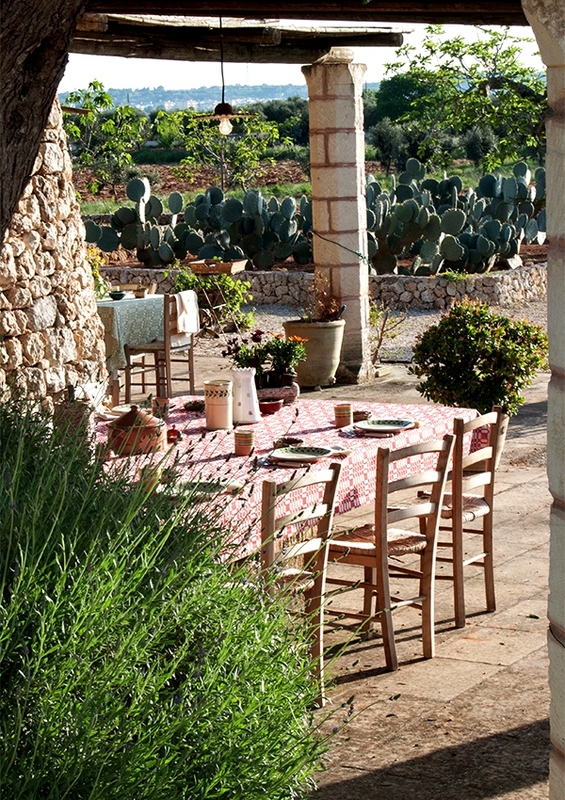 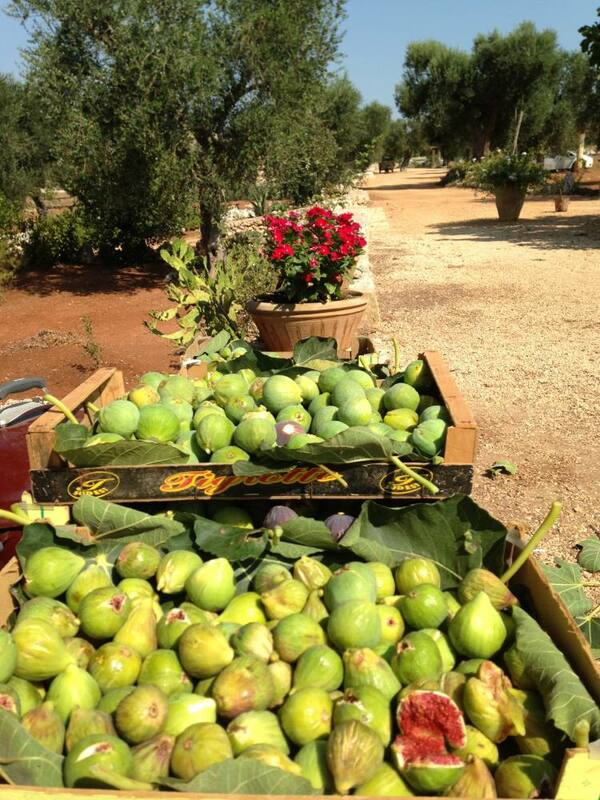 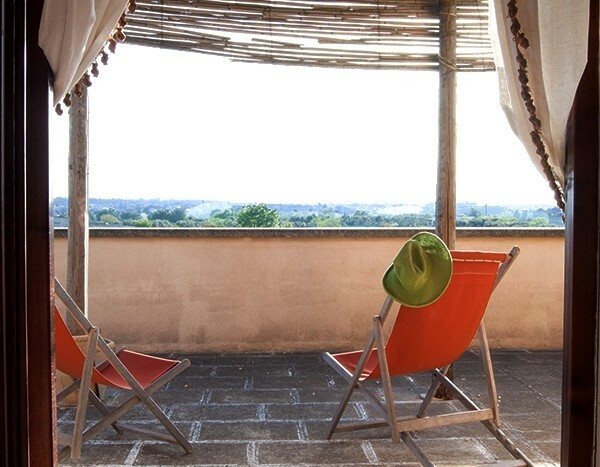 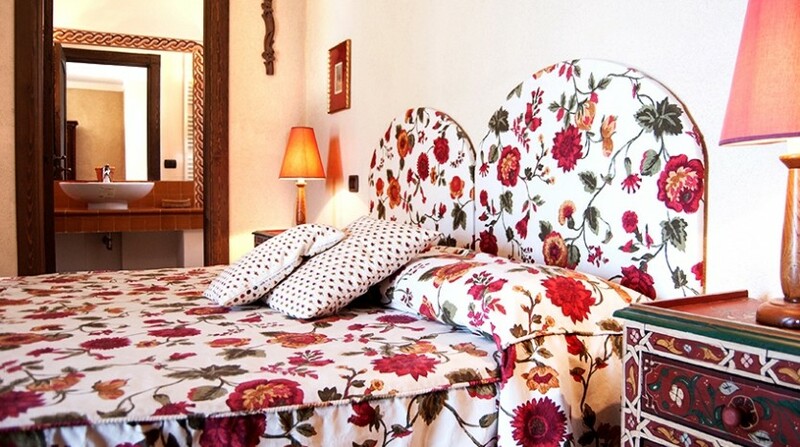 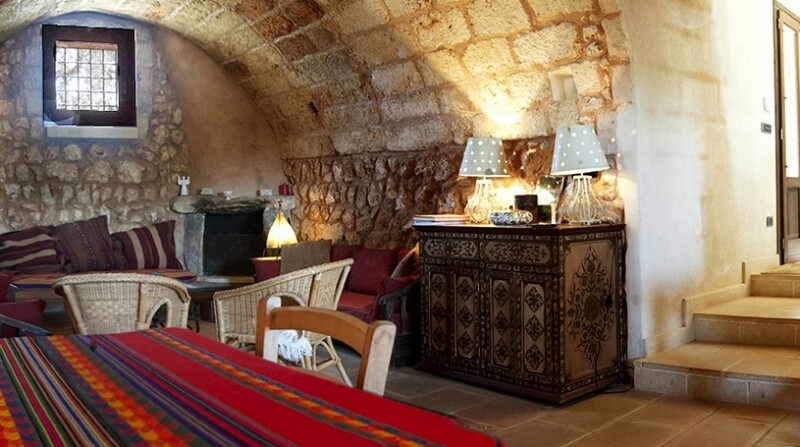 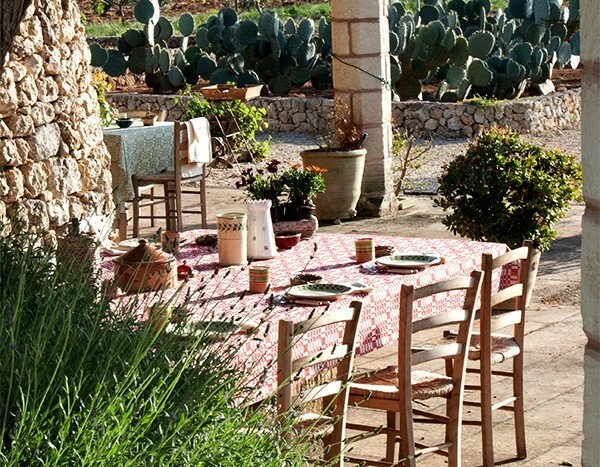 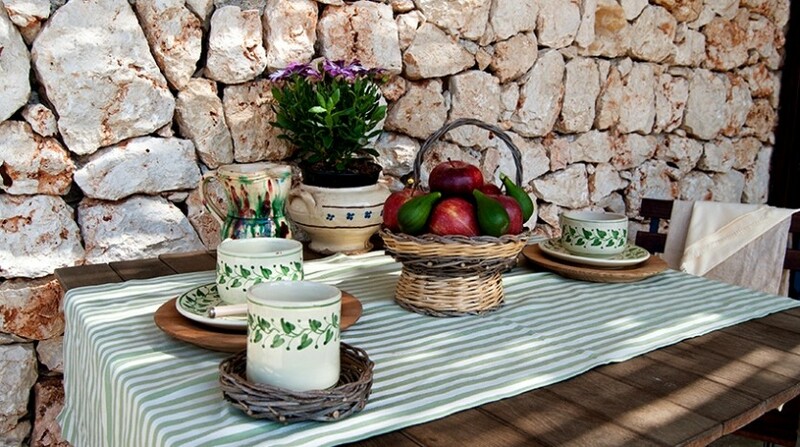 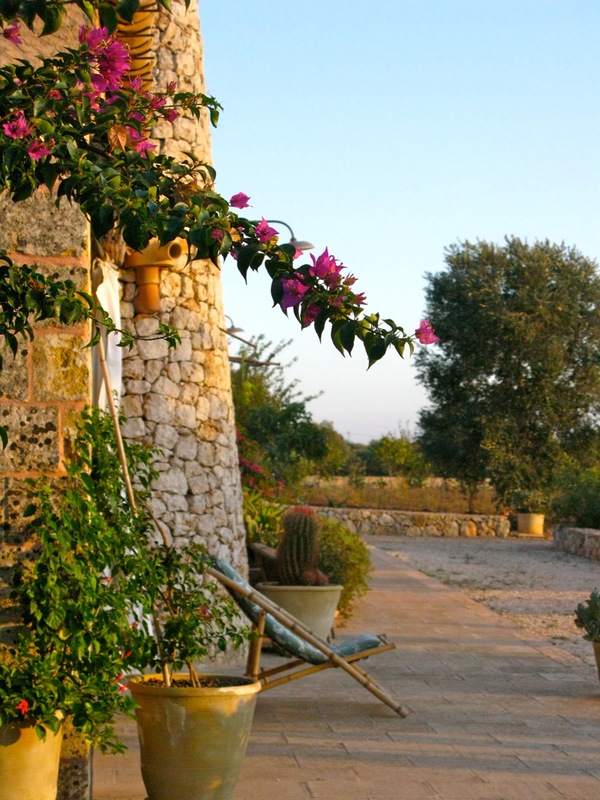 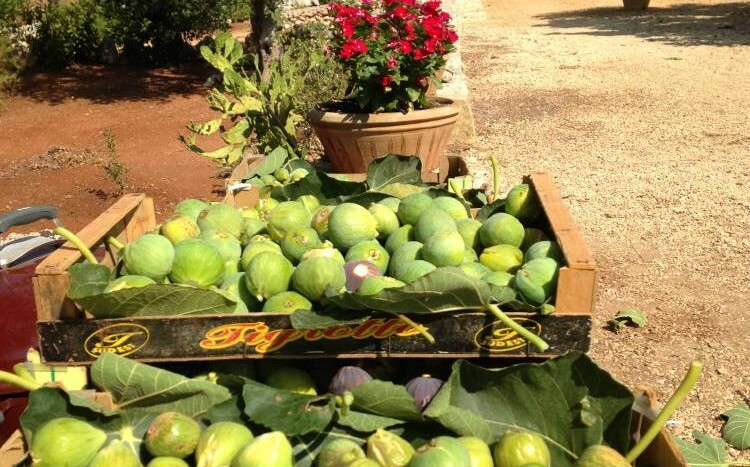 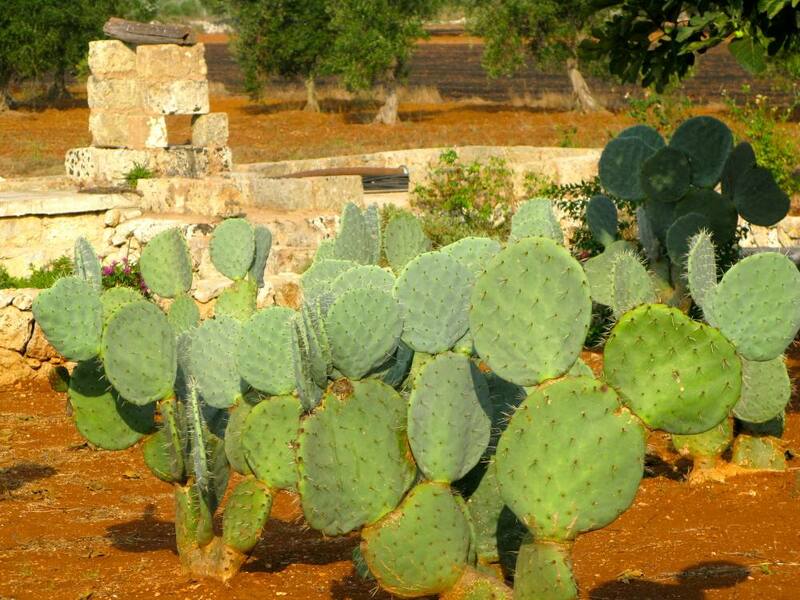 A splendid beach villa overlooking the sea of Puglia, able to host up to 10 people. 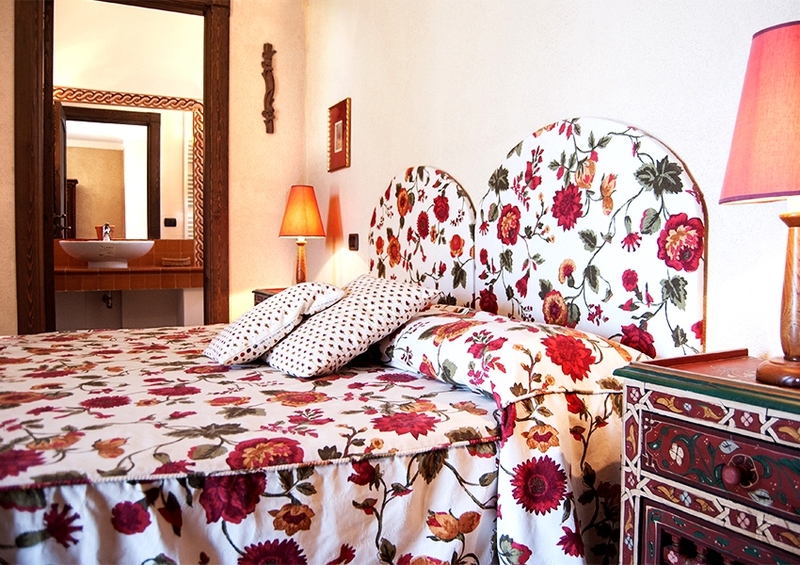 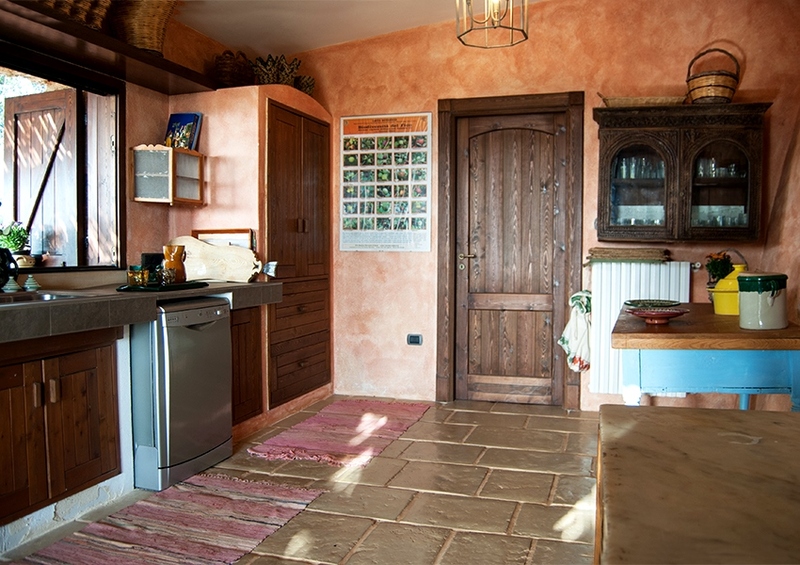 If you’re looking for accommodation in the South of Salento this is the perfect villa for you: a country house furnished in good taste and provided with all comforts. 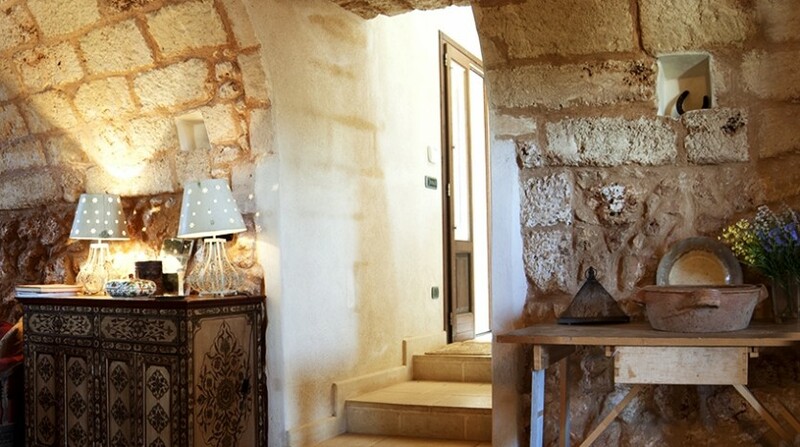 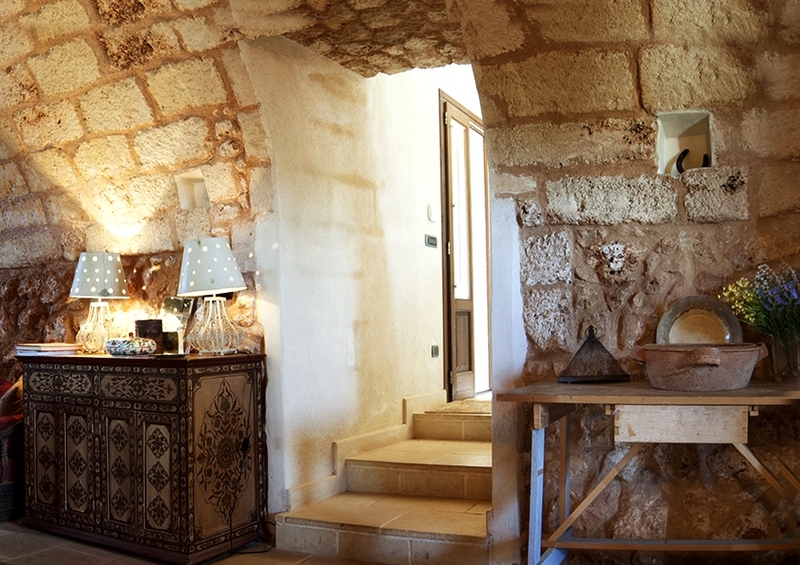 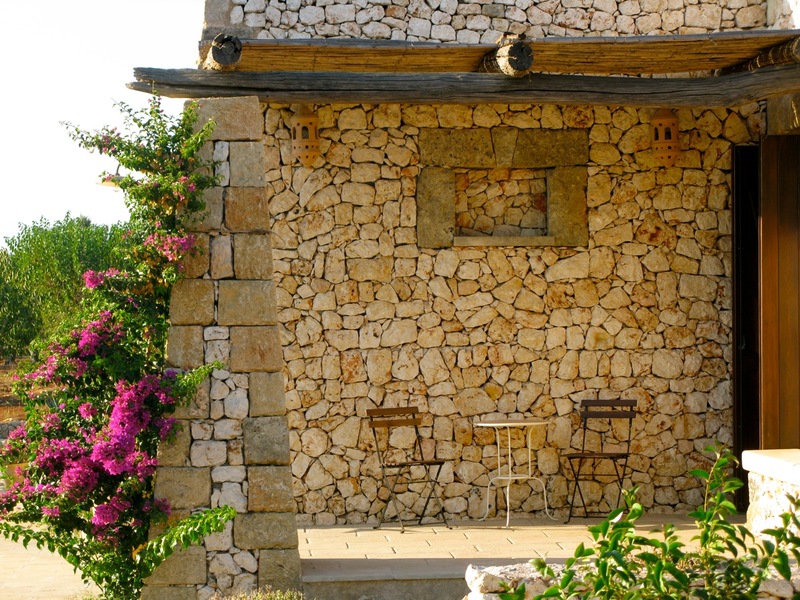 Our Casa Nespolo (Medlar tree house) is a beautiful stone house in southern Puglia, situated in the basso Salento, just 900 meters away from the beach of Tricase. 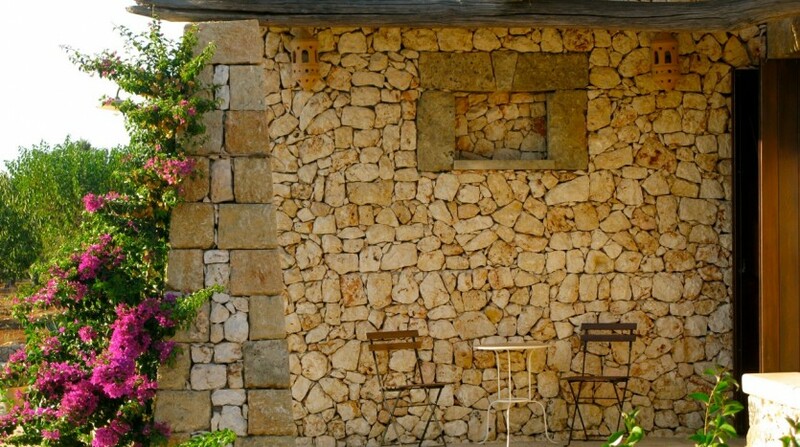 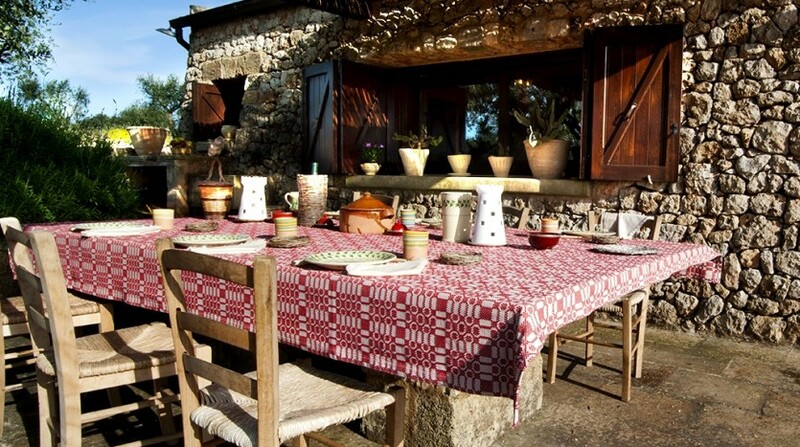 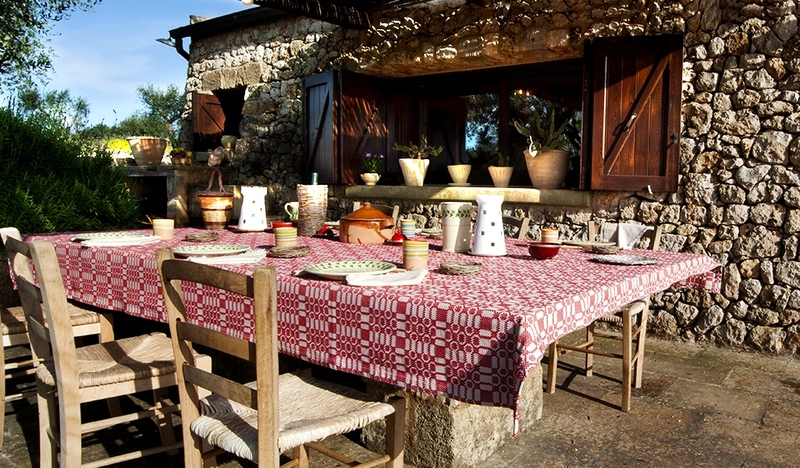 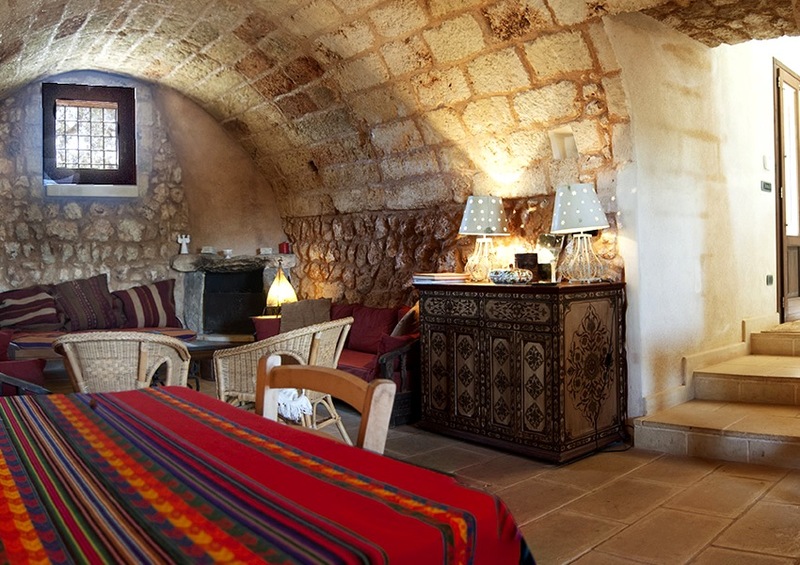 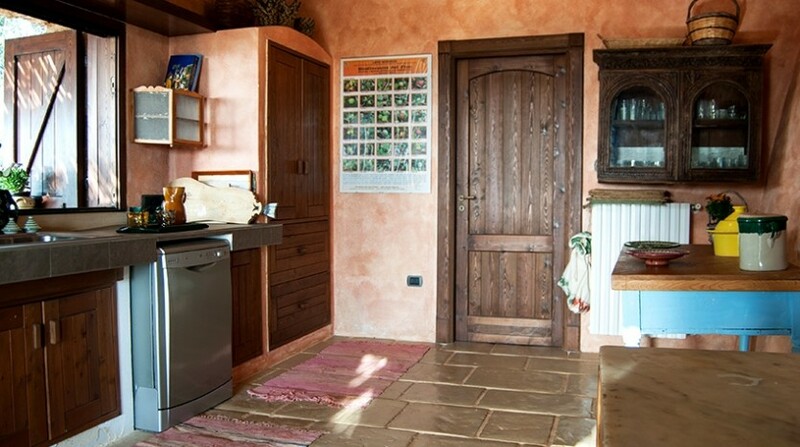 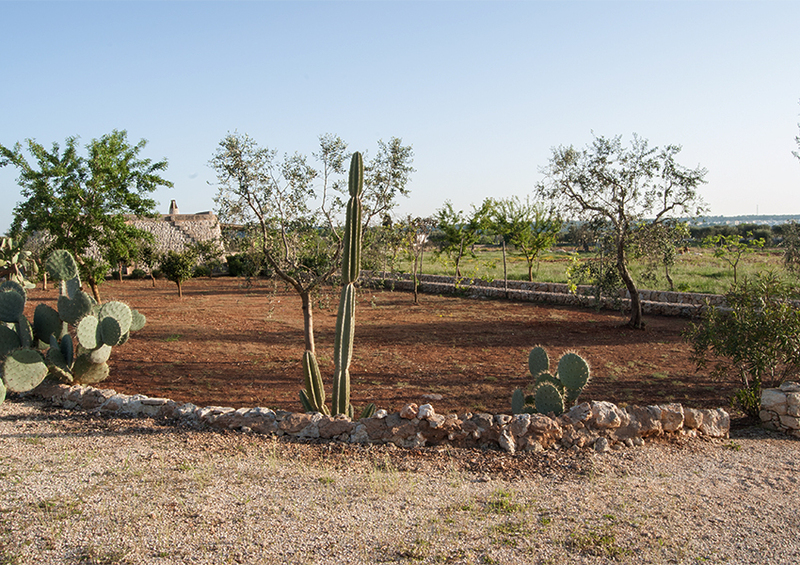 Casa Nespolo is part of an estate that includes four “pajare”, stone houses typical of this area, built in the 19th century, and lovingly renovated in 2010. 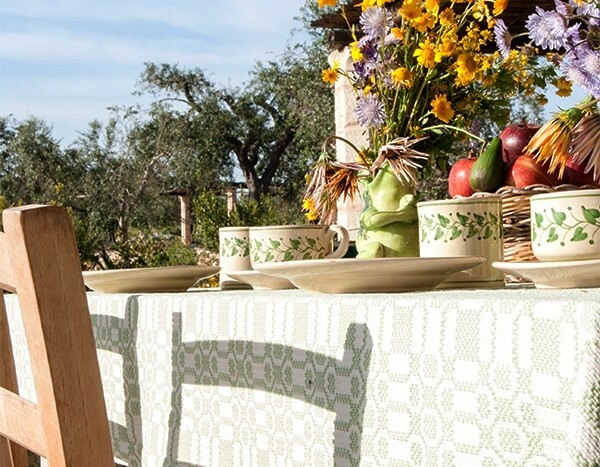 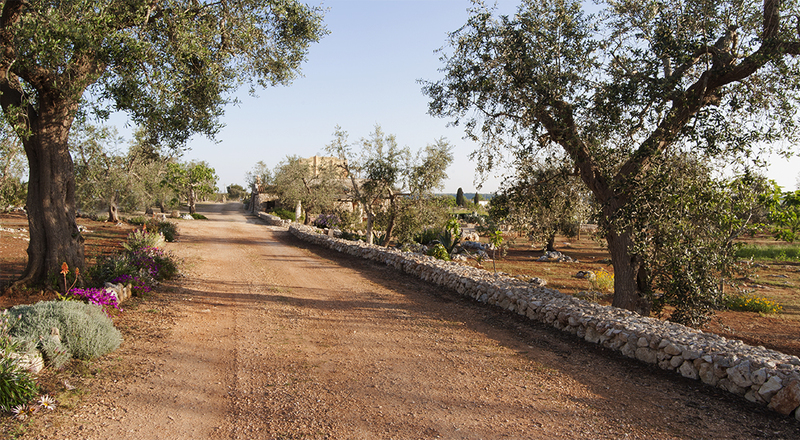 They’re surrounded by a plot of 7 hectares, planted with olive, almond and fig trees: from their cultivation comes the delicious olive oil and fig jam in different flavours, homemade by the members of the family that owns the property Borgo Terra Rossa. 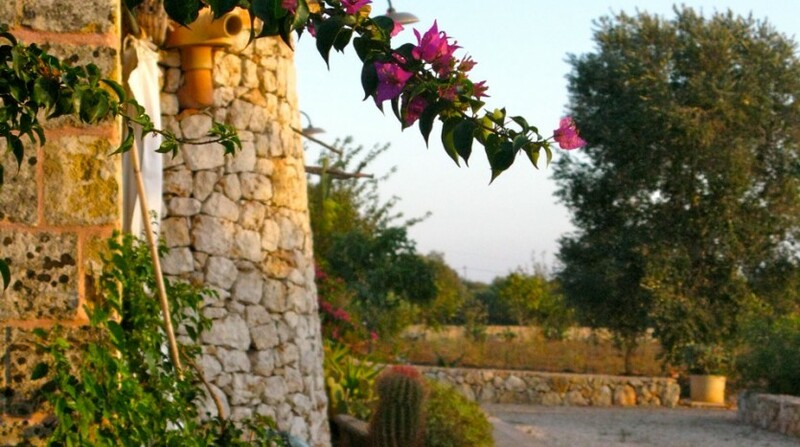 The cottage has been accurately restored and tastefully decorated; it’s provided with all the necessary amenities for a relaxing stay: air conditioning, a fireplace, five bedrooms, dishwasher, washing machine, and a beautiful outdoor terrace. 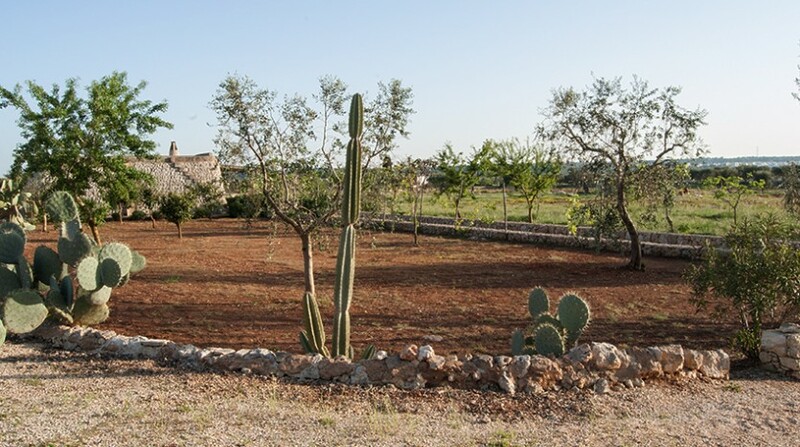 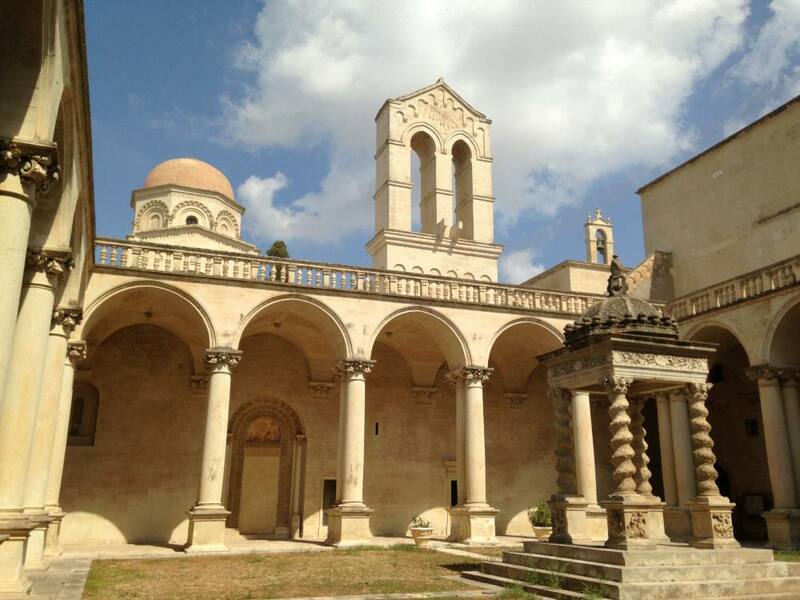 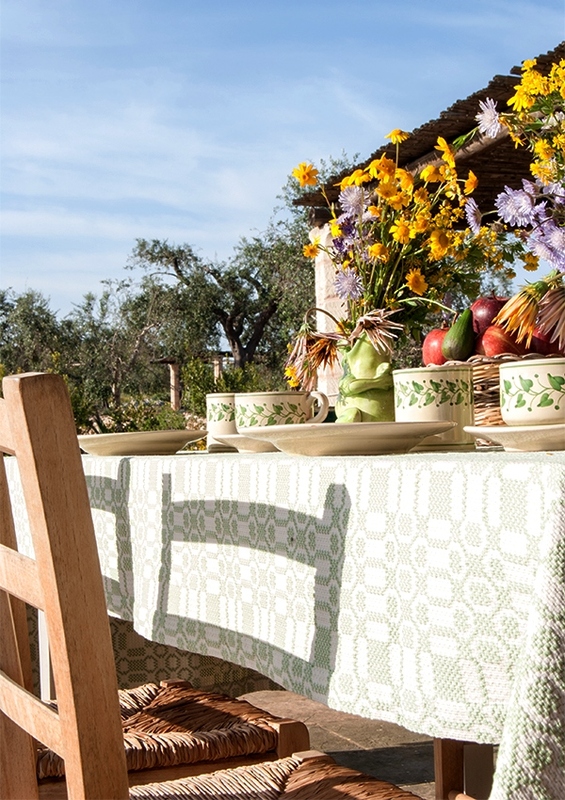 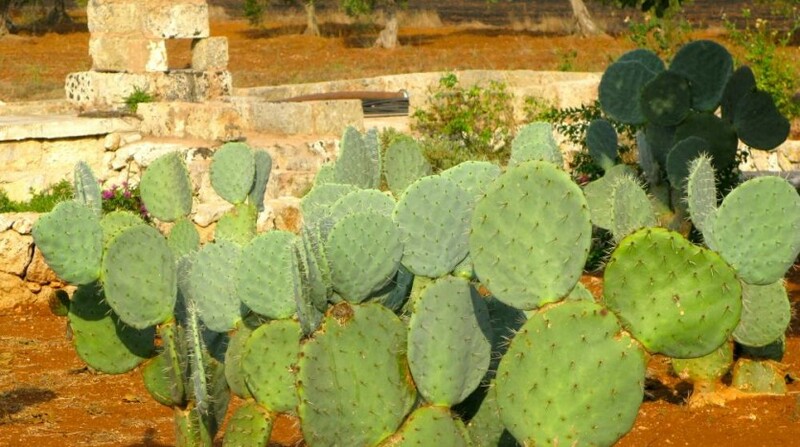 The estate is located in the beautiful Southern region of Puglia, famous for its sandy beaches, clear sea water and fascinating Baroque cities like Lecce, known as the Florence of the South. 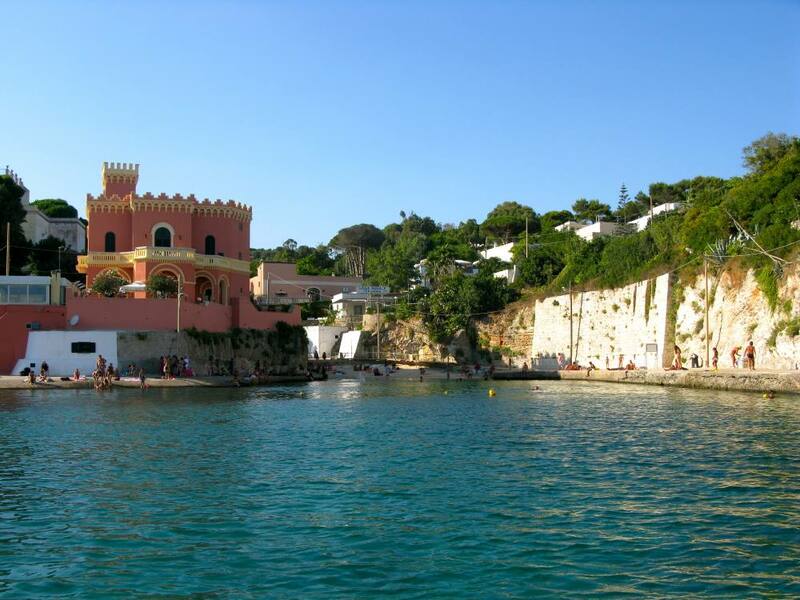 The nearby beach of Tricase extends from Otranto to the southernmost point of the region, Santa Maria di Leuca. 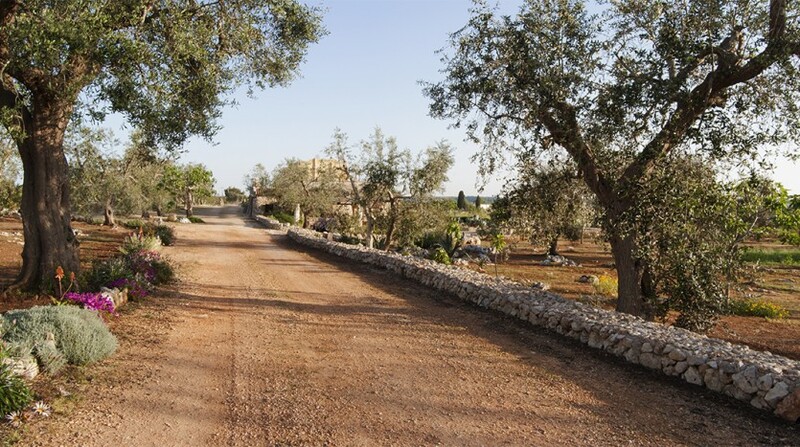 The town of Tricase, well known for its handicraft and farming products, is embedded in a spectacular countryside that offers unique sights to all its visitors. 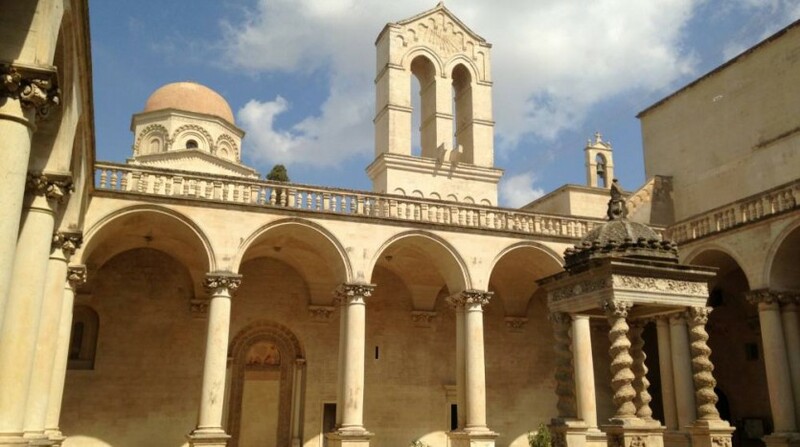 Some of the spots around here are surely worth a visit: Palazzo Gallone, an ancient castle of the 14th century, the Baroque Presbytery from the 18th century, and the 17th century Church of St. Dominic, just to mention a few. 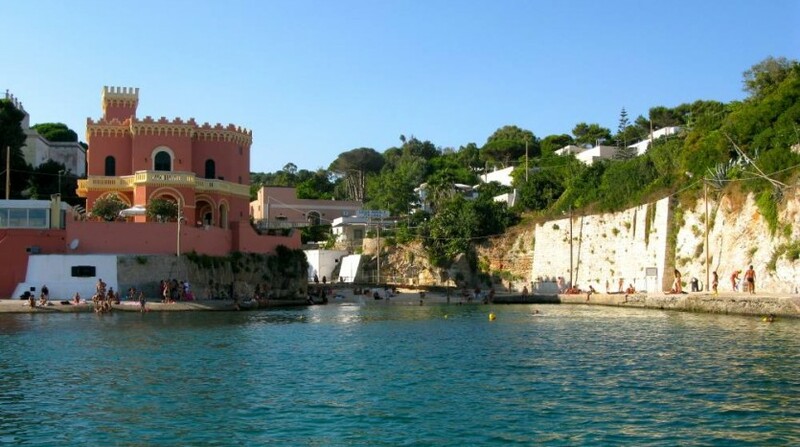 The nearby Porto Tricase is a small town, just a few kilometers away from Tricase’s city centre, where sea water is so clear you can see the seabed beneath. 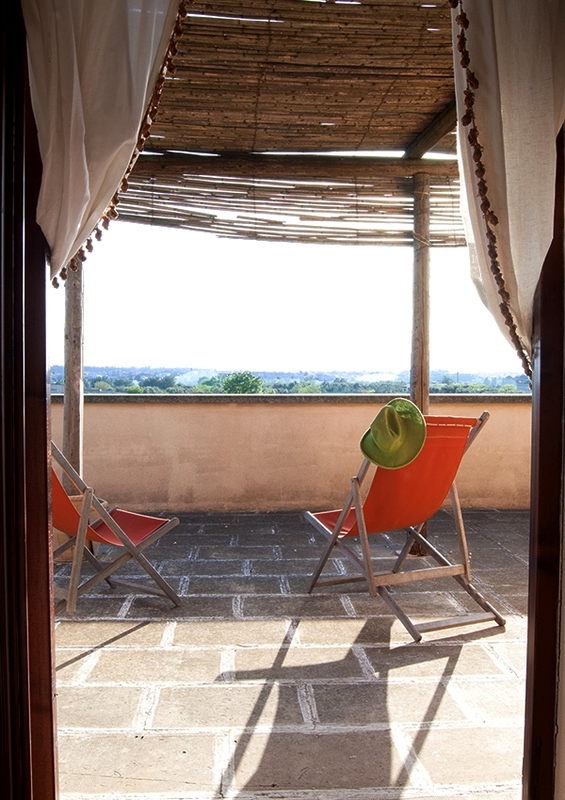 Address: Close to this property you can also find: Baroque city of Lecce "Florence of the South", the city of Gallipoli, Cape Leuca at the southernmost point of Puglia.